This December, we will travel to all of our villages and deliver Christ’s love and hope to thousands of villagers! Last year, we were blessed to bring hundreds of children to Christ, gifted over 4000 toys, cups of hot chocolate, and holiday bread to every child following a Gospel skit and presentation by our team. We also gifted bags of rice, vegetable oil, spaghetti, radishes, fruit, potatoes, and sugar to each family. The Christmas Toys ministry is our 2nd largest evangelist outreach of the year, and serves as a key next step following the Congreso. 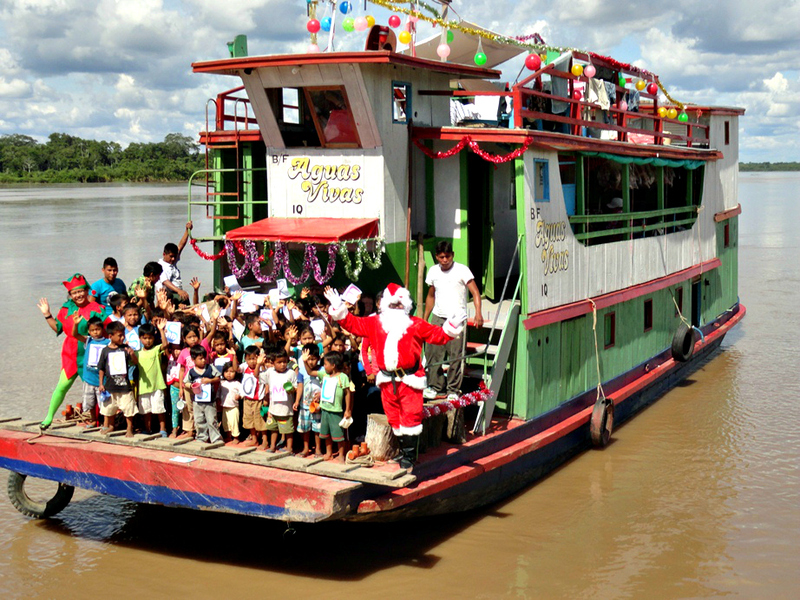 Each year, we make a promise to visit every village that attends the Congreso the following December. By visiting each village, it serves 3 purposes that allow for our organization to continue to grow in a huge way. First, the gift of toys following the Gospel program, instills hope, love, and security inside of children and their families that often have very little exposure to any of those feelings. Next, the connections that we make provide a glimpse of the network that our organization provides. To have a network of villages that work together in support of one another is a very foreign concept in 3rd world countries, and we are proud to reveal that to villages that are just discovering our organization. Finally, the Christmas Toys Ministry offers a relationship with our organization and our other ministries that we offer throughout the year. Through the relationships that we make through the ministry, we invite key leaders of the village to attend our seminary and conference gatherings throughout the year, and also exchange key contact information in case there are natural disasters or other needs that arise in the village. These key contacts that we make through this ministry have proven very providential in the work that we are accomplishing in the Peruvian Amazon Rainforest and we can’t wait to see where God takes us next!